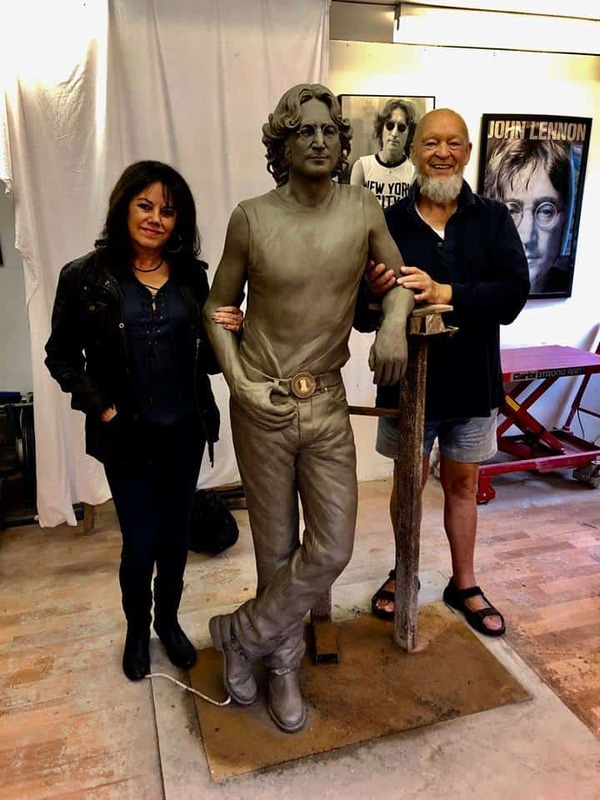 A statue of John Lennon created by Wells, Somerset artist Laura Lian is set to be exhibited at this year’s Glastonbury Festival. 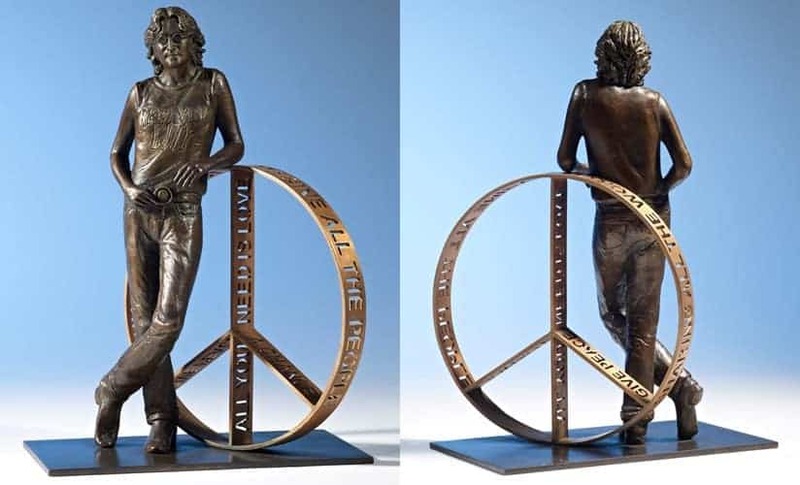 “I wanted to help spear John and Yoko’s message of Peace and Love to the world with the statue concept,” said Laura. Glastonbury Festival founder Michael Eavis has invited Laura to take the statue to the festival this summer (26-30 June 2019) where it will be sited alongside the Campaign for Nuclear Disarmament (CDN) tent. “We are really excited to have the opportunity to bring John’s message of peace to so many people at the world’s biggest festival,” said Laura. 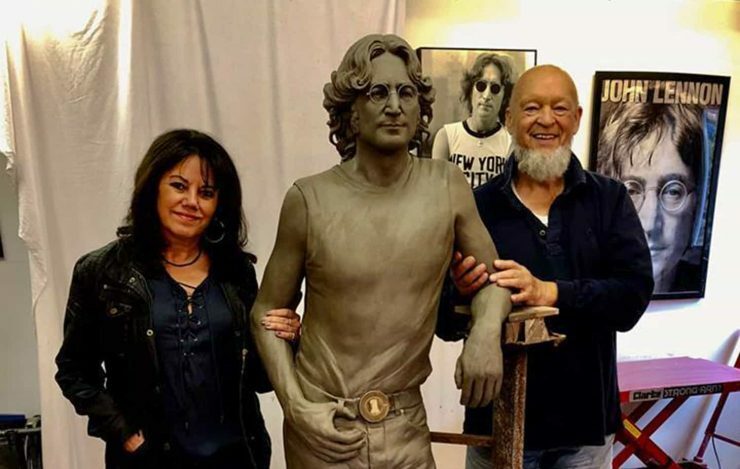 The life-size sculpture represents an iconic image of John taken in 1974. 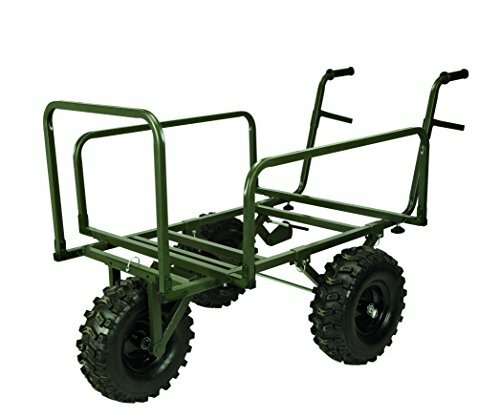 The clay model is very nearly finished as you can see from the picture below, and Laura hopes to have it completed for moulding by September to be cast in bronze by early spring 2019. “We are looking for sponsors to support this project who have a passion for Peace, whether they be individuals, Beatles fans, corporate organisations, small businesses etc,” said Laura. War Child was founded in 1993 by film-makers David Wilson and Bill Leeson – the charity supports children who have become victims of war. To help pay for Laura’s project you can head over to the John Lennon Peace Statue crowdfunding page HERE.